Topics: Articles, Family Training, and Bankruptcy Training. 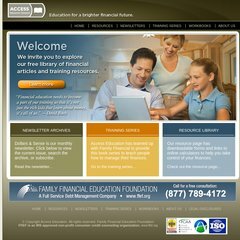 It is hosted by Family Financial (Wyoming, Evanston,) using Microsoft-IIS/5 web server. Its 2 nameservers are ns65.worldnic.com, and ns66.worldnic.com. It is written for ASP.NET language.